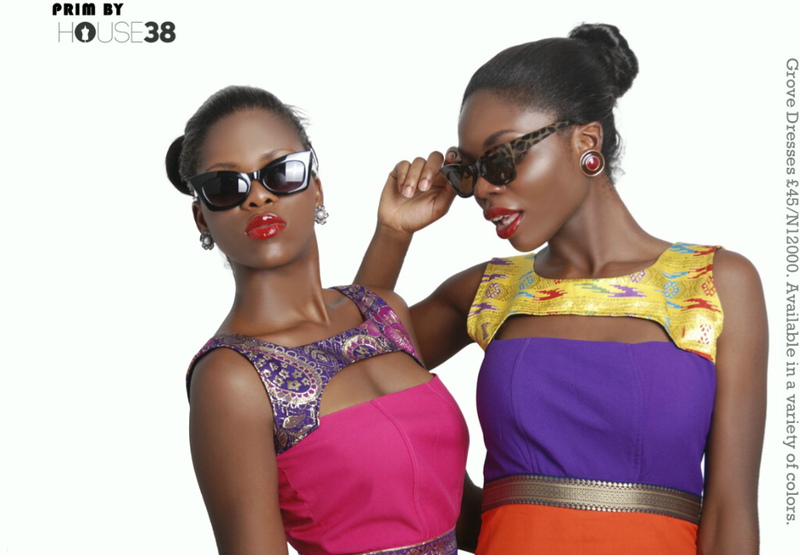 PRIM by House 38 is the younger and more affordable range of clothing designed and produced by House 38. Our current collection is a celebration of the burst of colours that arrive with spring and intensify into summer. 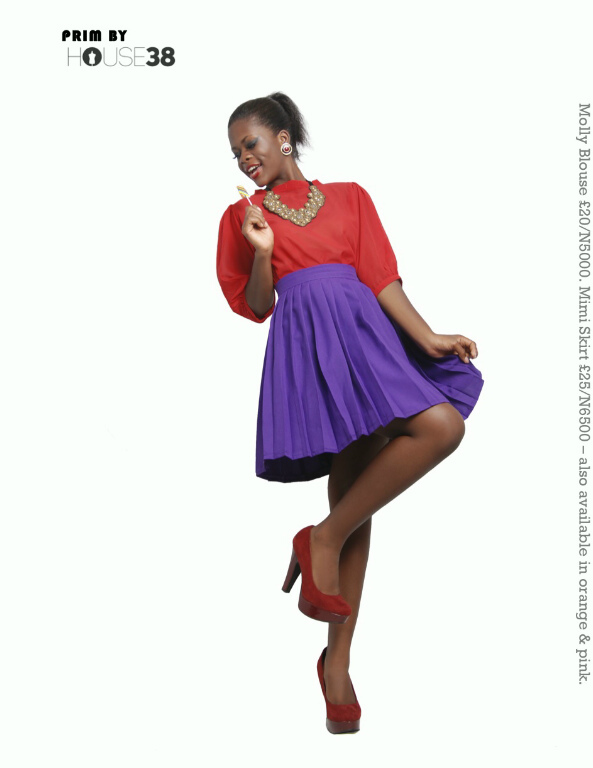 With full pleated skirts and shorts, this is a collection that is suited for the ease and breeze of the spring. With its affordability, the blouses of PRIM S/S ’12 should be a bright presence in the wardrobes of women hopping from work to play. The latest prim by House 38 collection relays a sophisticated exuberance that the brand so cleverly executes. The rippled ruffles and knife pleats although flirty and playful adopt a balance of tailoring that ensures the wearer is still taken seriously. The block colours and jewelled buttons speak volumes of a fashion conscious urban lady. My favourites of the collection have got to be the lomy skirt and Molly blouse…. Gorgeous! Items start at N5,000 and are capped at N12,500. 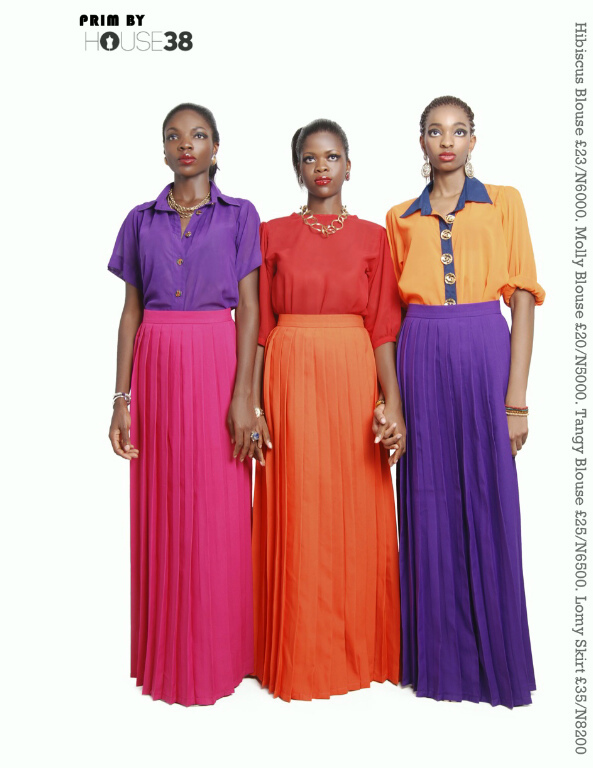 Models: Dami Teidi, Whitney Umeh and Anie Inoyo.